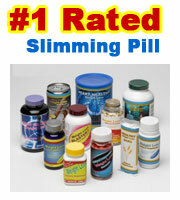 Xenical is possibly the most effective weight loss pill that a GP can prescribe. It is not available to buy or purchase on the high street or via the web in its authentic form. A cloned or derivative can be purchased but bear in mind this will not be Xenical. Xenical, also known as Orlistat, is a very strong and powerful medication that is aimed primarily at the grossly overweight or obese. A GP or Doctor will not prescribe to a patient on purely cosmetic or vanity grounds. The ideal candidate is someone who has a BMI (Body Mass Index) of 30 or above and is considered to be at danger from their physical weight. Xenical is highly utilised for weight loss in North America and The UK and across Europe. Xenical works by blocking fat. Approximately 30% of the fat from food consumed will be stopped from being absorbed and digested. 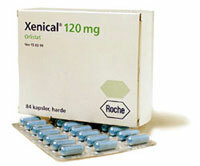 Xenical will not suppress appetite or increase metabolism it is a physical reaction that causes the weight loss effect. The undigested fat can pass through the bowel. Xenical can cause unusual bowel movements – often described as an orange liquid, this is the undigested fat passing through the body. This is a natural effect and must happen as the undigested fat from food intake has to leave the body somehow. 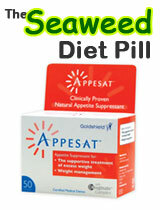 Xenical (Orlisat) is the most probable diet pill a Doctor will prescribe. With minimal side effect and long history of success Xenical is more classed a weight loss medication than a mere supplement. 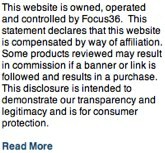 Please be aware that a large majority of “Xenical or “Orlistat” sounding weight loss products found on the web may not be remotely connected to the official or authentic version. Proactol – uses a similar fat stopping methodology to Xenical. Over 25% of dietary fat from food consumed can be stopped from being absorbed and digested with Proactol.